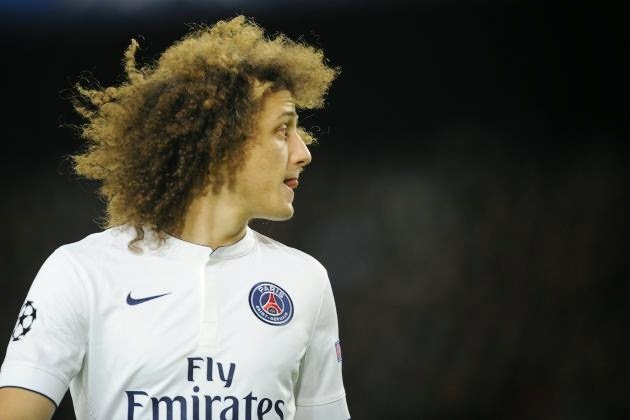 David Luiz believes Chelsea are better this season ahead of Champions League. The David Luiz/Diego Costa battle over two games starting next week in the Champions League is something I am really looking forward to. Ahead of the first game next week, Luiz has revealed that he can see that Chelsea are better. It still baffles me that we managed to get £50m for Luiz, especially after THAT Germany game! Don't get me wrong, I loved him while he was here and backed him 100% despite knowing that he has his flaws. "Chelsea are better this season. Above all, they are better balanced following the arrival of Fabregas. He's perhaps the player they were missing: he balances the midfield, makes the team play well and knows how to hold on to the ball from time-to-time. With the arrival of Diego Costa - a warrior forward who always wants to score and challenge defenders - and the continuity provided by Mourinho in the dugout, it's logical Chelsea are stronger this season. PSG's elimination last year was tough, because it came down to away goals. We'll have to play to our strengths: going forward, playing to win. I have faith in my team. We know Chelsea are an experienced team that has already won the Champions League. They are used to this, and they knocked out PSG last year. But we mustn't think about that too much. We have to show and up our level, and play to all our strengths on the pitch." We are at the business end of the season and these two games are going to be massive especially after everything that happened last season. I agree with Luiz and feel that most people do when he says that we are better than last season. The improvement in key positions is obvious and hopefully, it's in those positions that we are looking to make the difference. It will be really, really interesting to see how Luiz performs over the two legs up against Diego Costa and his old Chelsea team mates. Let's hope we don't leave it to the last minute this time around!